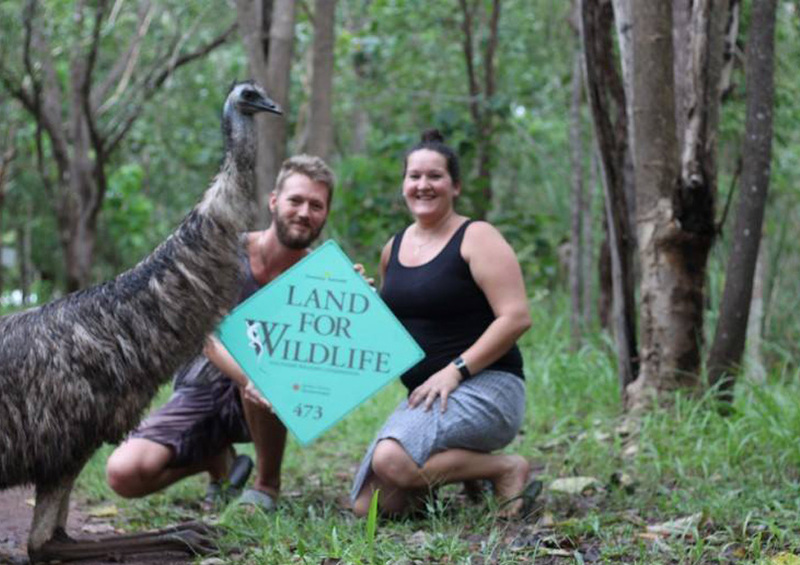 Land for Wildlife Top End is a voluntary program to assist and encourage landholders to provide habitat for wildlife on their properties. In the Top End, the program is run by Greening Australia through funding from the Parks & Wildlife Commission of the Northern Territory. Land for Wildlife Top End is becoming increasingly important as bushland around Darwin is lost to development and remaining tracts of key native habitat is owned by private landholders. A growing number of landholders are joining the program which already has a diverse group of over 250 members covering 8,000 hectares of land in the greater Darwin region and Katherine area. In 2017, the Land for Wildlife Top End received both a ‘Australian Government Partnerships for Landcare’ award in the NT Landcare Awards, as well as a ‘People’s Choice Award’ in the Territory NRM Awards for its collaboration with partners and landholders. What does Land for Wildlife offer? Who can join Land for Wildlife? As part of the program, workshops and field days are held on member’s land two to three times a year. These have included native plant propagation workshops, fire management, weed management and identification days, and ‘Trees for Wildlife’ (an arboriculture workshop about encouraging wildlife by using dead trees and logs). Greening Australia also hosts field days about local wildlife or landscapes of interest. The scheme networks and promotes with other organisations with similar values, such as Wildcare and Landcare groups. Current Land for Wildlife properties in Darwin are mainly residential rural blocks but also include conservation reserves, defense land and public land encompassing a wide variety of environments such as woodland communities, riverine landscapes, lagoons, sand sheet, coastal vine thicket and monsoon rainforest. Emma Studied Horticulture and plantsmanship at The Royal Botanic Garden in Edinburgh and went on to specialise and work with Tropical flora. 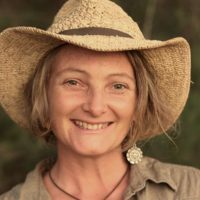 In northern Australia Emma has worked with both native and productive plants with a focus on educational gardens and urban sustainability. She studied a Bachelor of Environmental Science at Charles Darwin University and has been involved in scientific field work within the region with various organisations.